Bad advice in finance can have a devastating impact on people. Estimated damage : Total amounts set aside by banks for packaged bank accounts redress stands at £1.1 billion. This mis-selling case features all the main UK banks such as Lloyds, Barclays, RBS, HSBC and Santander. The bank accounts offered by these financial institutions often included additional services such as travel insurance and discounts in return for a monthly fee. However, banks often automatically upgraded some consumers to these accounts and failed to get proper consent. Banks also failed to check whether consumers were eligible for the benefits and insurance policies which came with the account. Staff could receive higher bonuses for pushing packaged accounts rather than normal no-fee current accounts. In 2016, the Financial Conduct Authority published a review which found that banks must do more to ensure customers are treated fairly, both when they take out a packaged bank account and when they complain. Estimated damage : There was a £200 million settlement with affected shareholders. The Royal Bank of Scotland (RBS) set aside £800 million for compensation. Thousands of investors were sold shares in 2008 in the Royal Bank of Scotland (RBS) following a rights issue – an invitation for existing shareholders to buy additional shares in the company at a discount. However, only a few months after this cash call, the bank had to be bailed out by the government for £45 billion, sending share prices crashing. Different groups of investors took legal action claiming they were misled and the bank created a false market for its shares. In June 2017, the bank settled £200 million in out-of-courts settlements, having set aside £800m for the exercise. Consumers affected : Estimated 12 million (2016). However, 64 million PPI policies were sold in total, i.e. the scale of mis-selling could be even higher. In the United Kingdom, Payment Protection Insurance (PPI) was a product that was sold on the basis that it would protect a borrower’s ability to repay loans. PPI was generally sold alongside credit, including mortgages, credit cards and other unsecured loans by all the main UK banks since the 1990s. The insurance would cover repayments on loans when a customer fell ill, became unemployed, or in case of an accident. However, there were significant problems with PPI in the United Kingdom.Any attention as to the suitability of the product for the consumer in question was often minimal, if it existed at all, andPPI policies were frequently mis-sold to consumers who would never be able to claim it. PPI policies were also not sought out by consumers, and there were many cases where consumers were not even aware that they were sold the insurance. Consumers were also often incorrectly led to believe that taking out the PPI was a condition in order to be granted the loan. In sales connected to loans, PPI policies were often promoted by commission-based sales people who were incentivised to sell the product, regardless of whether it was appropriate. If the consumer repaid the loan early and needed to cancel the insurance, little or no refund was given. Research carried out by the Office of Fair Trading into the cost of PPI found that, between 2003 and 2006, 42% of the policies sold had a commission worth more than 50% of the product’s price. Among those policies, the average of the commission vis-à-vis the price of the product was 67%. In 2011, the UK banking industry lost a legal challenge against the UK regulator, and banks were required to pay redress to consumers. By January 2016, £24.2bn has been paid out to consumers. Total amounts set aside by banks for PPI redress now stands at £43.5 billion – around 4.5 times the cost of the London 2012 Olympics. In an effort to draw a line under the scandal, the Financial Conduct Authority set a final deadline for filing a PPI complaint of 29 August 2019. In the recent past, many of the main UK banks, including Lloyds, Barclays, RBS, HSBC and Santander were involved in mis-selling scandals involving investment products. Banks often failed to properly assess a consumer’s attitude to risk or capacity to withstand investment losses. Commission-based advisers in the banks pushed consumers into poor quality or risky investment products. Complex structured products were sold which underplayed the risks or exaggerated the potential returns. For instance, in 2011, the UK regulator fined Barclays £7.7 million for advice failures related to the sale of two-high risk funds. The company was also required to pay out up to £60 million in compensation to the victims. The UK regulator found that Barclays failed to make sure that the funds it was selling were suitable for customers, and failed to adequately train staff to explain the risks involved in purchasing the funds. In 2015, RBS Group offered compensation to up to 24,000 customers after it admitted to the widespread mis-selling of complex ‘structured products’ investments that were sold between 2009 and 2013. The investments involved were often complex, and RBS admitted that customers who took out the product may not have been able to fully understand it. Similarly, in 2016, Santander was fined £12.5m related to unsuitable investment advice it gave when selling investment products, such as structured investments and investment bonds, to retail consumers. In order to reduce the risk of mis-selling, the UK’s Financial Conduct Authority decided in 2012 to ban investment advisers, including those who work in banks, from receiving commissions for recommending investment products. Some of the banks have now withdrawn from providing investment advice and are now focused on selling investment products online. Consumers affected : In Norway, as of March 2012, approximately 12,000 customers. In Sweden, as of 31 December 2013, approximately 20,000 customers. Estimated damage : Difficult to estimate. The company provided insufficient and unbalanced information to customers on a large-scale, both about the content of the financial products they were selling and with regard to the real costs of the products. Navigea Securities was created after Acta Asset Management was deprived of its license by the Norwegian financial supervisory authority in 2012. On 20 of June 2014, the Norwegian Financial Supervisory Authority (Finanstilsynet) revoked the licenses of Navigea Securities AS to provide investment services. The Norwegian financial supervisor revoked the licenses after identifying serious and systematic violations of the Securities Trading Act’s requirements for good business practice. The company’s communication with customers was highly criticised. The company’s advisors had failed to provide objective information in telephone conversations with its customers and did not make individual and real assessments if investments were in the customer’s interest. As a result, many customers did not receive information about better investment opportunities. Falcon Funds, a Swedish fund manager registered in Malta, has systematically used aggressive telemarketing methods to promote three funds to Swedish citizens in the Swedish premium pension system. Falcon Funds has also unlawfully shifted clients’ money to its funds without their consent. The funds have underperformed significantly due to fraud and investments in companies with links to the owners of Falcon Funds. As a result, SEK 700 million (around €70m) went missing, affecting 22,000 Swedish pension savers who held savings in these funds. The Swedish Pension Authority has delisted Falcon Funds from the system and the Swedish National Economic Crimes Bureau is still investigating the company to trace the missing money, which leads to ten different countries. The Maltese authorities have revoked the company’s permit and a criminal investigation is ongoing. The main person behind the company has only recently been arrested. Allra, one of the largest fund managers in the Swedish public premium system, has systematically used aggressive marketing methods, mostly through telemarketing, to promote its savings products to Swedish citizens. The company has used misleading arguments to “advise” Swedish citizens to shift their premium pension savings to the company’s funds. But Allra’s funds have underperformed significantly and were some of the worst performing funds offered on the market. This is partly explained by the excessive fees, but also because of alleged fraudulent internal transactions at the fund saver’s expense. Allra is accused of having paid hundreds of millions of Swedish krona in excess for services from a company with ownership links to the owners of Allra, through a subsidiary in Dubai. In March 2017, the Swedish Pension Authority delisted Allra’s funds from the system and reported the company to the police. The former auditor also filed a report to the police. An investigation is still ongoing by the Swedish National Economic Crimes Bureau. The investigation concerns suspicions of gross breach of trust, gross accounting violation and money laundering. The scandal has fueled a debate in Sweden about reforming the Swedish premium pension system. The Pension Authority has proposed several changes, including reducing the number of available funds in the premium system and banning telephone-based marketing and fund advice. Estimated damage : around €3.7 billion. In 2007, the Spanish bank Santander issued convertible bonds worth €7 billion to finance the purchase of Dutch bank ABN-AMRO. But the price of each share had actually been predetermined in 2007 through a complex formula meaning that consumers would pay €16 per share, instead of the actual market value of €6 per share. This meant that consumers would lose over 50% of the value of their investment. The Spanish securities regulator CNMV sanctioned Banco Santander twice for the inappropriate selling of these products. Different regional courts have ruled in favour of consumers, indicating that the bank did not provide enough information and the brochure used language which was inaccessible for inexperienced consumers. There was also no information about the fact that the product was subject to stock markets fluctuation. Banco Popular launched convertible bonds worth €700 million in 2009. On maturing, these bonds could be exchanged for shares in the bank. However, thousands of clients lost up to 80% of their investments. These products were commercialised without enough information and consumers were unaware that they could lose money with these products. The Spanish securities regulator CNMV imposed a €1 million fine on the bank for commercialising these bonds. The Supreme Court explained that the consumer would have had to be an expert in the stock market to understand the product and that the bank did not give the customer enough information in the documentation. In 2007 and 2008, numerous banks offered foreign currency mortgages to their clients, mainly in Japanese yen or Swiss francs. The banks informed customers that these products had a much lower interest rate, but did not explain that borrowers were exposed to exchange rate fluctuations. Some of the mortgages rose up to 30% of the original amount when the exchange rate increased. On 30 June 2015, the Supreme Court ruled that foreign currency loans were a complex financial instrument and that therefore banks had to inform the customer about its risks, which it failed to do. Bankia launched a campaign to sell share options to small investors. Its Initial Public Offering (IPO) filings contained “serious inaccuracies” regarding the true state of the lender’s finances at the time of its stock market launch. Bankia had to be taken over by the government’s Orderly Bank Restructuring Fund (FROB) in May 2012, less than a year after listing on the stock exchange. The Supreme Court ruled that Bankia had to return the money spent on its shares. Bankia offered any retail investors who acquired shares during the bank’s IPO in 2011 the opportunity to fully recoup their investments quickly and easily, without having to meet any other condition and at no cost and without recourse to legal proceedings or out-of-court settlements. Some banks took advantage of their clients’ trust to sell them products that were not appropriate for their profile. The shares clients were sold were complex and high-risk instruments because the capital invested could easily be lost. Nevertheless, they were offered by credit institutions, mainly savings banks, as an alternative to normal deposits without informing consumers of their risks. Customers, who were typically pensioners, were convinced that the preference shares were a safe investment option capable of yielding up to 8%. The shares were allegedly marketed by branch managers with little understanding in the complex equity products. In the case of Bankia there was a trial legal arbitration process. The Provincial Court of Madrid ruled in favour of the affected consumers. On 24 June 2016, Bankia’s appeal was dismissed, confirming the sentence of the Madrid court from 30 June 2015 where the contracts were declared null. Estimated damage : Estimated damages paid by the bank to savers in extra-judicial settlement were €13 million. The total damages are higher. NLB, at the time the largest Slovene bank, offered a 5-year savings product with attractive interest rates. However, in the environment of falling interest rates, it started to reduce the contractual interest (thus breaching its own contractual terms). Savers were not clearly informed about the conditions of their product. The Slovenian Consumers’ Association (ZPS) represented about 160 savers in court and was successful at the Supreme Court level in 2011. The remaining consumers accepted a settlement with the bank with a lower pay-out. Afterwards, the Slovenian central bank issued rules on the transparent calculation and disclosure of interest in savings products. 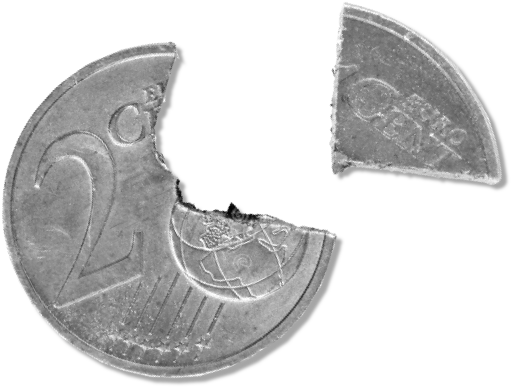 Estimated damage : The monthly installment of a typical household increased by 40% between 2006 and 2017 due to the appreciation of the Swiss franc. Consumers were misled about the real nature of the loan sold by banks, in particular on the exchange rate risks that were involved when taking out a loan. Risky loans were in particular sold to consumers for their mortgages. Some consumers were offered these loans because, according to the banks, they did not have sufficient creditworthiness for a home-currency mortgage. However, anecdotal evidence from the courts (including statements by former bank employees) show that bank employees were encouraged to sell foreign currency loans. A large number of Slovenian banks were involved. This is a list of providers brought to court by the Slovenian Consumers’ Association (ZPS) and the association of Swiss currency loan holders: Abanka,Addiko Bank (former Hypo Alpe-Adria Bank), BKS bank, NKBM bank, NLB bank, Probanka, Sberbank (former Volksbank), SKB (owned by Societe Generale), Sparkasse, Unicredit (former Bank Austria). Court cases are still ongoing. Consumers affected : Around 150,000 mortgages were denominated in Swiss francs. Estimated damage : In 2014, around 90% of all loans were denominated in foreign currencies, of which around 8% were in Swiss francs. In the years before the financial crisis, Romanian consumers took out loans denominated in foreign currencies (euro and Swiss francs) in large numbers. Foreign currency loans were marketed to consumers at lower interest rates than loans in the local currency (lei). 91% of Romania’s banking assets belong to foreign banks. 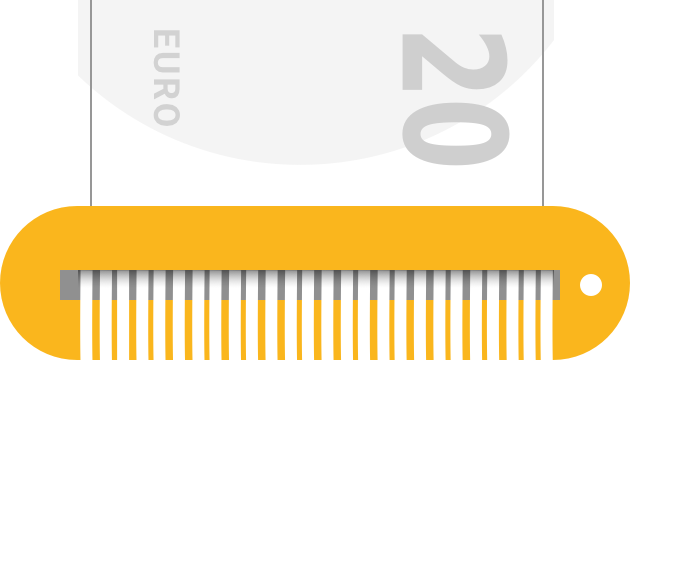 At the beginning of the financial crisis, the national currency substantially depreciated against the euro and the Swiss Franc, placing consumers with loans in these currencies in an extremely difficult position. In January 2015, consumer debt soared further due to the fact that the Swiss franc rose against the euro by more than 20%. For a long time, the government did not intervene to protect consumers, saying instead it wanted the banks to come up with voluntary solutions negotiated with borrowers. In the end, in October 2016, theRomanian Parliament approved a law to help Swiss franc borrowers convert their mortgage loans into Romanian leu at historic rates. However, the Romanian government challenged the law in the Constitutional Court arguing that it “will take all necessary measures for the law to protect the people who actually cannot pay their loans, but not speculators.” In addition, in April 2016, the government approved a law that allows mortgage borrowers to wipe away their unpaid loans by returning their property to the bank. Estimated damage : Due to a substantial surge of the Swiss franc against the euro, monthly repayments of Swiss franc mortgage borrowers increased, and sometimes even doubled. Before the financial crisis gripped Europe, banks heavily marketed loans in Swiss francs, which were available at interest rates 60% lower than loans in Polish zlotys. However, the banks involved did not clearly explain the risks of currency fluctuations to borrowers, and they failed in their responsible lending obligations. In January 2015, the Swiss franc surged by more than 20% against the euro, which was immediately passed on to the Swiss franc mortgage borrowers. This added up to earlier appreciations of the franc. The Polish government urged banks to convert franc loans to zloty at market rates, but it has not taken any binding measures so far. Banks want to focus their efforts on the neediest foreign currency loan borrowers, while the financial supervisor is planning to tighten recommendations to persuade banks to voluntarily convert their loans into zloty. Portugal’s second largest bank, Banco Espirito Santo, sold its own bonds, and bonds issued by companies linked to the bank, to its retail clients. Bank branch managers told retail customers that the products were as safe as deposits but with better returns. The prospectus failed to mention sufficiently clearly that there were real risks associated with this debt. Soon after, the bank became insolvent and required a €4.9 billion bailout from the Portuguese central bank. Consumers who had made investments based on the prospectus lost their money. In 2016, the Portuguese government announced a plan that would allow around 4,000 retail investors who lost their savings when the bank became insolvent, to get 60 per cent of their money back. Under the plan, retail investors are expected to receive €286 million over three years, of the €485 million they originally invested into Banco Espirito Santo. Consumers affected : Several hundred, mostly elderly, retail investors. Estimated damage : Based on the level of the price hikes, investors stand to lose at least 40% of their investments. Retail investors who invested money into retail estate projects managed by Indigo Finanslost millions, following the bankruptcy of the firm. The company at the centre of the scandal set up a complicated structure that allowed it to sell on commercial properties at highly inflated valuations to retail investors. However, the Financial Supervision Act mandates that the kind of financial ’services’ that Indigo Finansprovided requires a permission from the Norwegian financial supervisor. Yet the company had never applied for such permission with the supervisor. In early 2017, the authority warned Indigo Finansthat it considered ordering the company to stop its illegal operations. After Indigo Finansbusiness dealings were reported in Kapital, a Norwegian financial magazine, the financial authority issued a public warning to investors about Indigo Finansin May 2017. The company declared bankruptcy in December 2017 after being sued by a large number of disgruntled investors. In one of several examples, a holding company of Indigo Finansacquired one commercial property for roughly worth €4 million. Indigo Finansthen facilitated the sale of the property to retail investors with an inflated valuation of more than €6 million. According to an estimate by Kapitala profit of roughly €2 million was pocketed by the holding company. From 2014 to 2016, the holding company netted a total profit of almost €7 million from an initial investment of less than €3,500. Consumers affected : 946 non-professional customers suffered huge losses through very high hidden fees, mis-selling of shares and CFDs (Contracts for Difference) on a large scale. Estimated damage : The financial loss for consumers is estimated to be around NOK 300-400 million (€31million - €40 million). The losses amount to the fees and the worthless shares investors purchased. In 2017, following a comprehensive investigation by the Norwegian financial supervisor, the regulator chose to revoke the license of the brokerage house ‘Nordic Securities’ after uncovering serious misconduct by the firm. Following an investigation, the Norwegian supervisor found that the transactions costs on the trading platform were excessively high, and that investment recommendations by the firm were designed to encourage short-term trading, encouraging high transaction frequency. The company’s brokers often also gave investment advice based on loose guesses, and customers who hesitated to follow the advice of brokers were often persuaded to follow regardless. On average, customers lost 68% of their savings annually, despite stock markets generally increasing during the measurement period. High and hidden fees were the main reason for customers’ major losses. Annual fees amounted to 69% of the customers’ capital, meaning that customers had to achieve a 69% annual return on investments to just break even. The company informed consumers about gains they had made, but concealed information about financial losses. The customers were cheated twice. First, Nordic Securities ran them through a scheme where they paid ridiculously high fees, and then, they had the company’s worthless shares dumped on them. The Norwegian supervisor concluded that the owners dumped their own shares in the Nordic Securities parent company, selling the shares to the company’s own customers. The customers paid NOK 200 million (€21 million) for the shares, based on an unrealistic estimate that the company had a value of €500 million. Nordea is the second-largest bank operating in Norway. In 2014, the Norwegian financial supervisor assessed the largest equity fund managed by Nordea. The fund in question – Nordea Avkastning– had been marketed by the bank as an active fund. However, closer scrutiny found that the fund actually closely tracked the performance of an index and had not been managed in accordance with the fund prospectus and investment profile. Due to the high management fees and a low active share, the customers were not given a realistic insight into what returns were possible when investing into the fund. According to the Norwegian Financial Supervisory Authority, Nordea violated the principle of good business practice. Nordea was told to manage the fund in a way that the shareholders could get a realistic opportunity to achieve returns beyond the benchmark index. As a result of the investigations initiated by the Norwegian Financial Supervisory Authority, Nordea chose to cut the fee from 2.0 per cent to 1.5 per cent in January 2015. The fund has also increased its active share. Navigea Securities was created after Acta Asset Management was deprived of its license by the Norwegian financial supervisory authority in 2012. On 20 of June 2014, the Norwegian Financial Supervisory Authority (Finanstilsynet) revoked the licenses of Navigea Securities AS to provide investment services. The Norwegian financial supervisor did this after identifying serious and systematic violations of the Securities Trading Act’s requirements for good business practice. The company’s communication with customers was highly criticised. The company’s advisors had failed to provide objective information in telephone conversations with its customers and did not make individual and real assessments if investments were in the customer’s interest. As a result, many customers did not receive information about better investment opportunities. In 2006, a confidential report by the Dutch financial regulator into unit-linked insurance policies revealed the policies sold by insurance firms were often complex, not transparent and that the fees charged to consumers were often excessive. A unit-linked insurance policy is a plan offered by insurance companies that integrates both life insurance (covering the risk of death) and investments (offering the opportunity for the investor to generate capital). These policies were very popular in the Netherlands in the 1990s and 2000s, with an estimated 7.2 million unit-linked policies sold to Dutch consumers. At the end of 2005, nearly €49.2 billion had been invested in these products. However, an important part of the sum paid in was not invested, but covered the (administrative) costs, commissions and premiums. Often, it was unclear to the consumer how much was actually invested or what the costs of the products were. These policies were mostly sold by so-called ‘independent advisors’, who received attractive commissions from the insurance companies for “advising” on their products. In 2008, the Dutch Ombudsman issued a recommendation to the Dutch life insurance sector to minimise the costs of these financial products and to compensate in cases where excessive costs were charged to consumers. This recommendation led to several Dutch insurers reaching resolution agreements with Dutch customer interest groups. Consumers affected : In 2013, around 360 consumers had loans in Swiss currency. By the start of 2015, the number decreased to 302. Estimated damage : Consumers’ monthly repayments increased by up to 50%. In 2008, Nordea Bank issued loans denominated in Swiss francs to Lithuanian consumers. Loans worth €68.115 million were issued before the bank stopped the practice in June 2008. The bank’s advertising referred to taking out a mortgage in Swiss loans as a safe choice: “The Swiss currency is traditionally considered one of the best choices for consumers”. The risk of currency fluctuations was not clearly explained to borrowers, and ultimately their mortgage debt soared (up to 50% increase in monthly instalments) after the Swiss franc rose sharply against the euro during the financial crisis in 2010-11 and again in 2015. By the beginning of 2015, there were 302 consumers with Swiss currency loans. In July 2017, the government passed a law forbidding the issuance of foreign currency loans for consumers, but no actions were taken to help borrowers with outstanding Swiss currency loans. The Central Bank of Lithuania stated that the borrowers were financially literate enough to understand risks, therefore, no compensation for losses followed. Approximately 30 borrowers are defending their case in the courts. The case is still pending. From 2007 to 2008, DNB Lithuania (a subsidiary of the Norwegian bank DNB) misled consumers by actively marketing specific investments products as a ‘safe’ product. The product in question was a combination of debt obligations (linked to commodities or financial indices) with a loan. While the product was sold as ‘risk free’, it was in fact as risky as gambling. Furthermore, consumerswere convinced by the bank to take out loans to finance the investment. In the adverse market conditions following the global financial crisis, an absolute majority of consumers suffered huge losses imposed by the bank when the debt obligations matured. Over 600 customers incurred significant losses in relation to this scheme, totaling 100 million litas (nearly €30 million). In some cases, consumers lost their family house or flat, or land. For a small number of investors who took their case before the Supreme Court of Lithuania, a ruling was issued in 2016 that required the bank and the customer to split the investment losses by half each. According to the Italian Consumer Code, banks are not allowed to tie life insurance to a mortgage credit. In other words, banks are not allowed to force consumers to buy the insurance at the bank which grants the mortgage credit. However, a mystery shopping exercise by the Italian consumer association Altroconsumo in 2012 revealed that in 22% of cases mortgage borrowers were told they had to get life insurance as part of the mortgage. This practice frequently resulted in an increase in the premium for the loan that consumers were applying for, with customers on average paying €6,800 more to take out their loan. The Italian insurance supervisor IVASS also carried out investigations on the distribution of payment protection insurance related to mortgages and personal loans for the years 2008 and 2011. It found that policies distributed by banks or financial intermediaries had higher commission rates (44% on average, with a maximum of 79%) than policies distributed by agents (20%). The Italian insurance supervisor found in 2014 that insurance companies had paid out €679 million in fixed payments and commissions to distributors, equivalent to 44% of all the premiums. It found that in 10% of cases, the commission paid out for the sale of the product was equal or above 50% of the product’s premium. According to the Italian Consumer Code of 2011, banks are no longer allowed to tie the opening of a bank account or any insurance policy to the provision of mortgage credit. However, a mystery shopping exercise carried out in 2013 by the Italian consumer association Altroconsumo revealed that 78% of the agencies they visited nevertheless forced borrowers to open a bank account at the same bank. 39% of the banks also required the taking out of fire insurance and 33% the taking out of an insurance policy for the house. These are considered unfair commercial practices. Most of the major Italian banks are involved. Altroconsumo sent the details of its mystery shopping to the Italian Competition Authority. Two Italian banks Banca Popolare di Vicenza and Veneto Banca deceived customers into buying their shares as part of their loan or mortgage applications in a bid to boost the banks’ struggling finances. Between 2012 and 2014, Italy’s eighth biggest lender Banca Popolare di Vicenza granted financing to clients worth around €1 billion in return for purchasing the bank’s shares. This loan-for-shares scheme was devised to make its balance sheets look healthier to regulators than they actually were. The bank also misled its shareholders about the risks involved and misled regulators about its financial soundness. The act of lending money for the purpose of purchasing of a bank’s own shares is against Italian law, except under specific circumstances and after adequately informing shareholders about the risks of such transactions. In a similar case, Veneto Banca also provided loans to consumers in exchange for buying the bank’s shares from 2012 to 2014. The bank’s stocks subsequently completely lost their value. The Italian Competition Authority fined Veneto Banca €5 million in 2017 for its actions. Both banks were eventually wound up and required government intervention at a potential cost of €17bn to the taxpayer. Bank of Ireland, MBNA and Ulster Bank were selling optional insurance to protect credit card holders against the risk of fraud or loss of the card. These policies offered protection for unauthorised transactions on the card, while other features included a facility to cancel lost or stolen cards and order replacements in one phone call, and the replacement of a lost handbag or wallet up to €200. However, it later came to light that this protection was mis-sold. Those who purchased the insurance were not told that the credit card provider was in any case responsible for any fraudulent transactions carried out after the consumer informs them that the card has been lost or stolen. Even if fraudulent transactions happened before the consumer realised the card had been stolen, bank customers would often only be liable for a small amount, up to the first €30 put on the card. In 2012, the Irish central bank announced that it was investigating six lenders about the mis-selling of payment protection insurance policies. Payment protection insurance is meant to cover loan repayments on car loans, credit card debt, or mortgage payments if a person becomes ill and cannot work, loses their job or has a serious illness. However, as many as one in five of those who took out these products since 2007 in Ireland was likely to have been a victim of mis-selling. Banks were found to have sold payment protection insurance policies to people, including the self-employed, who would never have been able to make a claim under the terms of the insurance policy. The policies should not have been sold to categories of customers such as those under 18 or over 65, people who work less than 16 hours a week, the self-employed or unemployed, or those with pre-existing medical conditions or people on non-permanent contracts. AIB, Bank of Ireland, Ulster Bank, Permanent TSB, EBS and GE Money all sold these policies and another half-dozen finance firms were told by regulators to check if they also mis-sold the insurance product. The total cost related to resolving the scandal was expected to cost these firms up to €600m when all expenses, such as the investigation and administration, are considered. Customers who were mis-sold insurance were able to get refunds, but the taxpayer had to cover much of the cost, leading the Irish Central Bank to consider legal action against some firms that it felt broke the rules when selling protection insurance. Consumers affected : In 2010, two-thirds of Hungarian household debt, reaching 7.3 trillion HUF, or about 28% of GDP, was in foreign currency-denominated loans, mainly the Swiss franc. Following a large fall in the Hungarian currency, many Hungarian households faced significant problems keeping up with loan repayments for debts that were denominated in foreign currencies. In 2010, over 90% of debt was denominated in Swiss francs and approximately 7% in euros. Foreign currency loans were marketed to consumers at lower interest rates than loans in the local currency and, as in other countries, consumers were not properly informed of the risks if the exchange rate between the Forint and the Swiss franc would start to fluctuate wildly. However, consumer exposure to a sharp appreciation of the Swiss franc was prevented by timely action from the Hungarian government. The Hungarian government gradually phased out the foreign currency loans and, in doing so, prevented a massive crisis. First, in 2011 and 2012, foreign currency borrowers were allowed to settle their loans at a predetermined interest rate: some 170,000 loan holders repaid their debts with the help of this program. Second, in 2014, the Hungarian Parliament adopted a law requiring banks to reimburse borrowers for fees and surcharges levied during the lending period which were deemed to be unfair. Later the same year, the Hungarian Parliament adopted a law that obliged all banks to convert foreign-currency mortgage loans into Hungarian currency. As a result of all these measures, by the beginning of 2016, the total stock of foreign currency loans had fallen to only 1%. From 2006 to 2008 many Greek banks, including Alpha bank, Eurobank, Bank of Piraeus, and the National Bank of Greece granted loans in Swiss francs to consumers. 70,000 consumers in Greece took out such loans. Foreign currency loans were sold to consumers at lower interest rates than loans in the local currency. The banks also advertised that mortgages in Swiss francs were more stable and that there was little risk for consumers. The risk of currency fluctuations was not clearly explained to borrowers, and ultimately their mortgage debt soared because the Swiss franc rose sharply against the euro in 2010-11 and 2015. The banks appeared to have failed in their responsible lending obligations. In the wake of the global financial crisis, several German banks were accused of deliberately targeting unsophisticated older clients to sell them supposedly safe certificates in Lehman Brothers. Investment advisers marketed the Lehman certificates aggressively, luring people out of their safe but low-yielding saving deposits. Advisers were accused of targeting investors who they dismissively referred to as “OD customers” – or “old and dumb” investors who could be easily persuaded into purchasing certificates from the American investment bank, without fully understanding the risks involved. Many of the investors into these products lost their savings in the financial storm that followed the Lehman Brothers bankruptcy in September 2008. In 2009, the bank Frankfurter Sparkasse admitted that it gave wrong advice to investors who had bought Lehman certificates and who lost their savings when the bank went under. Frankfurter Sparkasse admitted that it had sold Lehman certificates to 5,000 of its customers for a total investment amount of about €75 million – securities which the financial institution touted as absolutely safe, but which became completely worthless after Lehman’s bankruptcy. In one case, a bank advisor sold a customer a Lehman certificate for about €93,000 as late as 21 August 2008, only a few weeks prior to the Lehman Brothers bankruptcy in September of that year. By 2011, Frankfurt Sparkasse had reached an agreement about compensation with approximately 95% of the investors in Lehman certificates. In February 2009, Hamburger Sparkasse Savings bank also announced that it had compensated 1,000 of a total of 3,700 investors affected by the collapse of Lehman brothers. In 2016, the German insurance company neue lebentried, by means of obscure service letters, to encourage its customers to terminate old but lucrative life insurance contracts with the company. The letters from the German insurance company encouraged customers to cancel their life insurance contracts, luring customers to do so with the promise of paying out the accumulated credit balance “at short notice and without income tax.” The letter gave the misleading impression that cancelling the contracts was a particularly worthwhile offer. However, according to the Federation of German Consumer Organisations, neue lebendid not sufficiently point out the disadvantages of terminating the life insurance contracts and was in clear violation of the insurers’ obligation to provide advice to their clients. For most consumers, a cancellation of these contracts would have been very disadvantageous, because they usually contained high interest rates, unlikely to be obtained in today’s markets. Indeed, the letters were sent primarily to customers who had concluded life insurance contracts before 2005 – at a time when interest rates of between 2.75 and 4 per cent were still common for life insurance contracts. If a similar customer took out a life insurance contract today, they would get much lower interest rates. As many as 30,000 such letters were intended to be sent by the insurance company to its customers. However, following a written warning to the insurer by the Federation of German Consumer Organisations, neue lebenagreed to stop sending the letter to customers. For years, two French banks Banque Populaire and Caisse d’Epargne sold life insurance policies and savings plans which were managed by the BPCE Group. In the brochures, the banks failed to mention any management fees for these products. French consumer advocates however found out that many of these funds were subject to hidden fees, lowering the revenues of consumers. On average, these hidden fees reduced the revenue margin for consumers by 0.2%. For some funds, the loss went up to 0.57%. In 2017, the French stock market regulator imposed a record fine of €35 million and officially blamed the banks. The French consumer association UFC-Que Choisir has initiated a group action against the banks. The investment bank Natixis became publicly-listed in 2006. During the public offering, the investment bank’s shares were sold to institutional investors, but also to private savers through the banks Caisse d’Epargne and Banque Populaire. Bank advisorsrecommended investing in Natixis arguing that it hadnot achieved its full potential. As a consequence, over two million consumers bought shares for a respective price of €19.55 per share. The banks, however, failed to inform investors about the possible risks of the investment. In the following years, Natixis’ share value dropped dramatically. By March 2009, a single share was worth 80 eurocents. Investors are estimated to have lost about €40 million. In 2013, one saver won a case against Banque Populaire des Alpes and received compensation. The judges found that Banque Populaire des Alpes had breached its duty to advise, but also sanctioned it for a conflict of interest, since it was a majority shareholder of the company Natixis. In 2001, BNP PARIBAS started selling the product ‘BNP Garantie Jet 3’ on the investment market. It soon attracted many an investor’s attention because it promised maximum safety with the possibility to triple the paid-up capital within ten years. The brochure also claimed that the consumer would, at the every least, recover the entire investment at the end of the term. But BNP PARIBAS did not keep its promise. After ten years, consumers ultimately received less money than they had originally invested. In its promotion, the bank concealed that the invested capital would be reduced by approximately 10% due to various fees. The criminal court of Paris sentenced BNP PARIBAS in 2016 to a fine of €187,500 and asked it to compensate consumers for the financial damage. Before the financial crisis, approximately 60,000 Croatian households had taken out loans in foreign currencies, mostly in Swiss francs and in euros. These ‘foreign currency’loans were sold to consumers at lower interest rates than loans in the local currency. However, the risk of currency fluctuations was not clearly explained to borrowers, and the banks appear to have failed in their responsible lending obligations. Due to a substantial surge of the Swiss franc against the euro after the financial crisis, monthly repayments in Swiss Francs increased and, in certain cases, even doubled. Loans denominated in Swiss francs increased in value by 4bn kuna to around 27bn kuna (€3.5bn) in 2015. To allow distressed borrowers to convert their loans into kuna, the government decided to fix the exchange rate at 6.39 kuna for 1 Swiss franc for one year, the level at which the currency had been before the surge of the Swiss franc. Banks in Croatia, mostly foreign-owned, protested against the decision. Italy’s UniCredit, owner of Croatia’s biggest lender Zagrebacka Banka,filed a suit before the Washington-based international investment court opposing the forced conversion. Between 2008 and 2009, French bank BNP PARIBAS sold foreign currency mortgage loans to consumers. Based on the supposedly stable foreign exchange rate between the euro and the Swiss franc, BNP PARIBAS promoted the loans as “the best offer on the market”. Consumers were, however, not informed about risks if the Swiss currency suddenly started fluctuating. From 2010 to 2011, the value of the Swiss franc increased significantly compared to the euro and reimbursements grew. Affected consumers are estimated to have lost a total of 100 million euros. In 2011, BNP customers began to file complaints about the mortgage loans, objecting that they had not been properly informed about the risks involved when they took out the products. In 2017, the French High Court of Justice ruled that many of the contract clauses were unfair. The French consumer organisation CLCV has filed a class action lawsuit for compensation. Consumers were able to buy shares in a financial cooperative called ARCO which was labelled a safe product. Leaflets referred to it as a ‘risk-free, absolutely safe’ investment. ARCO, in turn, was a shareholder of Artesia, a Dutch bank which merged with a Belgian bank called Dexia in 2001. As a result, ARCO shareholders overnight became the biggest shareholder in Dexia, with a stake of around 15%. But when Dexia failed in 2011 and needed a bailout by taxpayers, around 800,000 ARCO shareholders found that their savings were now at risk. They were neither consulted nor informed about becoming shareholders of Dexia. The Belgian government offered a guarantee of up to €100,000 to individual shareholders of ARCO. But, in 2014, the European Commission concluded that the guarantee constituted illegal state aid and ruled against the scheme. Currently the Belgian government is exploring other options to provide at least a partial refund to consumers. Watch three stories from consumers who were mis-sold a financial product. Today, consumers in the EU are not getting the advice they really need when looking for mortgages, insurance or seeking to better invest their savings. Especially when it comes to investing savings, the low quality of advice has been documented widely and this is particularly worrying as people are increasingly expected to cater for their own retirement in future. Commissions or sales incentives, which salespeople get for selling a particular product, tend to steer consumers towards overly complex and expensive investment options, often unsuitable for the needs and risk level people are willing to take. Commissions are the reason financial advisors have conflicts of interest. They prevent the advisor from acting in the consumer’s interest. Instead, commissions trigger advice pointing at the products which bring the highest benefit to the salesperson. Recent research showed insurers receive over €5 billion on a yearly basis from the people who manage large investment funds, steering EU consumers towards more expensive products in the process. This policy is already tried and tested in the Netherlands and the UK. The results are encouraging. A Dutch government review carried out in 2017 shows that the ban on commissions for mortgages and life insurances was effective as the quality of advice improved and there was less product pushing. A review in the UK found that the commission ban for investment products had “reduced commission bias in the market”. Both countries decided to maintain their bans. Since the start of the financial crisis in 2008, regulatory efforts to help steer consumers in the right direction have led to an ever-expanding and patchy rule-book of hardly enforceable rules. The regulation of financial advice is largely not meeting its purpose. Rules about how financial advisers should behave towards consumers is scattered along outdated, sectoral lines. These rules risk becoming obsolete in a rapidly changing market place where financial technology firms are shaking up finance. Issues like the independence and qualifications required of advisors are tackled in an inconsistent manner, often without common definitions or terminology of what they are referring to. There should be common definitions and rules for advisors to follow when advising their clients and in case of conflicts of interests. Advisors should have to make sure financial products are suitable for the person concerned and there should be greater price transparency, particularly costs and charges, for investments, pensions, and other long-term saving products. Consumers need independent advisors rather than tips from salesmen, so advice should only be provided by qualified and regulated professionals. The laws that do exist are too often weakly enforced by EU or national authorities. For example, an EU requirement that any personal investment recommendation made to a consumer suits the needs of the consumer is hardly enforced by national supervisors. While some countries have established dedicated authorities to enforce the law in finance, others have not. Where there are such authorities, consumer protection rules are also often side-lined by concerns about the stability of financial markets. The situation at national level varies enormously. The EU supervisory authorities, erected in the aftermath of the financial crisis, lack the resources and a clear mandate to protect consumers. There needs to be more harmonisation in the way the law is enforced across the EU so that there aren’t such contrasting outcomes for consumers from one country to the other. This harmonisation should be coordinated by the EU supervisors (EBA, EIOPA and ESMA). There also needs to be a clear separation between an authority tasked with ensuring market stability and an authority responsible for protecting consumers. They also need adequate powers and resources. We are also concerned that there is a fundamental problem with the complexity and quantity of all the financial products offered on the market. Since the deregulation days of retail finance in the 1980s and 1990s, financial products have become increasingly complex with growing layers of fees, complicated terminology and operations at work, creating a smoke-and-mirrors effect for consumers. Charges tend to decimate the return investors can make on a product. For instance, the EU financial watchdog recently shone a very unflattering light on the costs of investment funds, where investors see their annual returns reduced on average by 30% as a result of fees, one-off charges and inflation. Costly and complex mortgages, too risky investment products, ill-adapted insurance policies – mis-selling scandals because of bad advice in finance are all too common. The impact bad advice can have on people’s lives is enormous, sometimes fatal. Our website the ‘Price of Bad Advice’ provides a snapshot of mis-selling scandals that have affected consumers across Europe in the last 15 to 20 years. We’re calling for a fundamental revision to the way banks, insurers, brokers and others advise their clients. This campaign is run by BEUC – The European Consumer Organisation – a network of 43 national consumer organisations in 32 European countries. We bring consumers’ viewpoints from across Europe to the EU policy-making arena. The website www.thepriceofbadadvice.eu has been developed by The European Consumer Organisation (BEUC). For more information about BEUC please visit www.beuc.eu. BEUC is the data controller for the purpose of this website. We strongly believe in your fundamental rights to privacy and data protection. We try to strictly limit the processing of your personal information to the minimum possible for the correct functioning of the website. Context_breakpoint cookie: This cookie checks if the user is visiting from a mobile device or not, to render the site accordingly. The cookie expires as soon as you leave the site. Video: We use Framatube for embedding videos on our website. Framatube has been developed by the French non-for-profit organisation Framasoft, it uses the BitTorrent protocol to share bandwidth between users. This implies that your public IP address is stored in the public BitTorrent tracker of the video as long as you're watching it. If you want to keep your public IP address private, please use a VPN. You can find more information about Framatube here. Right of access – You have the right to have access to the personal data we hold about you and to obtain a copy. Right to erasure – You have the right to obtain the erasure of the personal data we have about you. Right to data portability – You have the right to receive the data that you have provided in a commonly used format, so you can take it somewhere else if you wish. Right to object – You have the right to object to the use of your data for marketing purposes at any time. Note that we do not use your data for marketing in any way! Right to lodge a complaint – If you believe your rights are not being respected and your data is being used unlawfully, you have the right to lodge a complaint with your national Data Protection Authorityor with the Belgian Data Protection authority, since BEUC is based in Belgium. You can find the contact details of all national data protection authorities here. I'm a nested off-canvas that uses overlap transition and the same position as the other nested off-canvas.